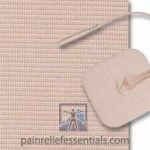 Our superior Compex® Easy Snap Compatible 2 x 2 Electrode is a 2″ x 2″ square electrode with a custom snap that allows it to connect with Compex® devices. Save More With This 24 Pack! 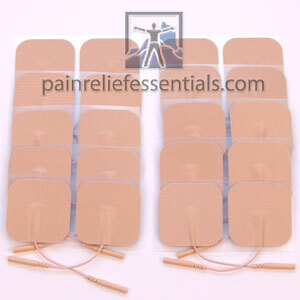 This set of 24 includes 6 individual packages of 4 electrodes. 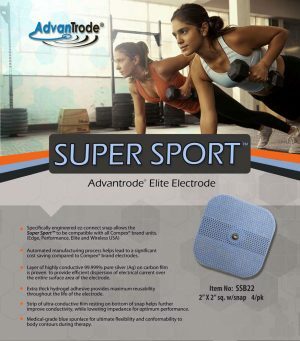 These superior electrodes are an upgrade from the original brand electrodes. They are designed to have better stimulation dispersion over the entire double-thick gel surface. You’ll find this reduces “hot spots” and “biting” which you may have experienced in the past. We also find them to be better for people with sensitive skin because the the quality of the hydrogel that they are made with. 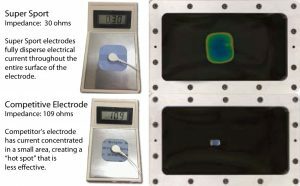 We fully believe you will enjoy the feeling and performance of these electrodes over that which you have been using. We invite you to use the first set of 4 electrodes from this 24 pack with no risk – If you don’t find that they out-perform and out-comfort the ones you have been using just call us and send them back along with the other unopened sets of electrodes and we will refund your purchase. 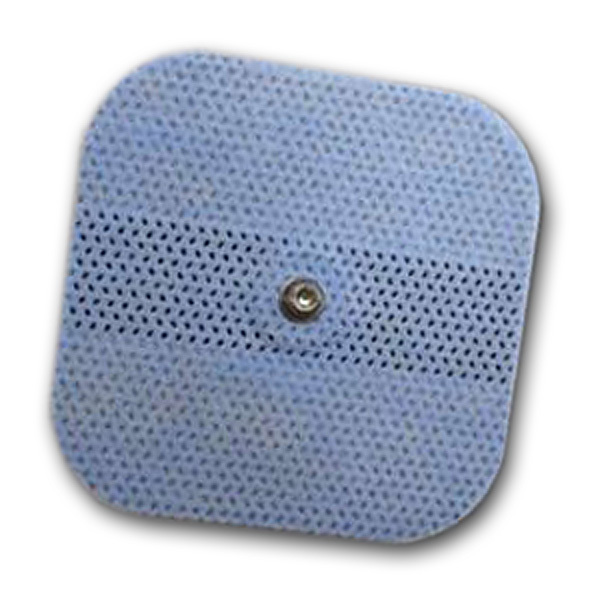 For years Compex® had a monopoly on replacement electrodes for Compex® stimulators because of their custom snap that would only connect their electrodes. 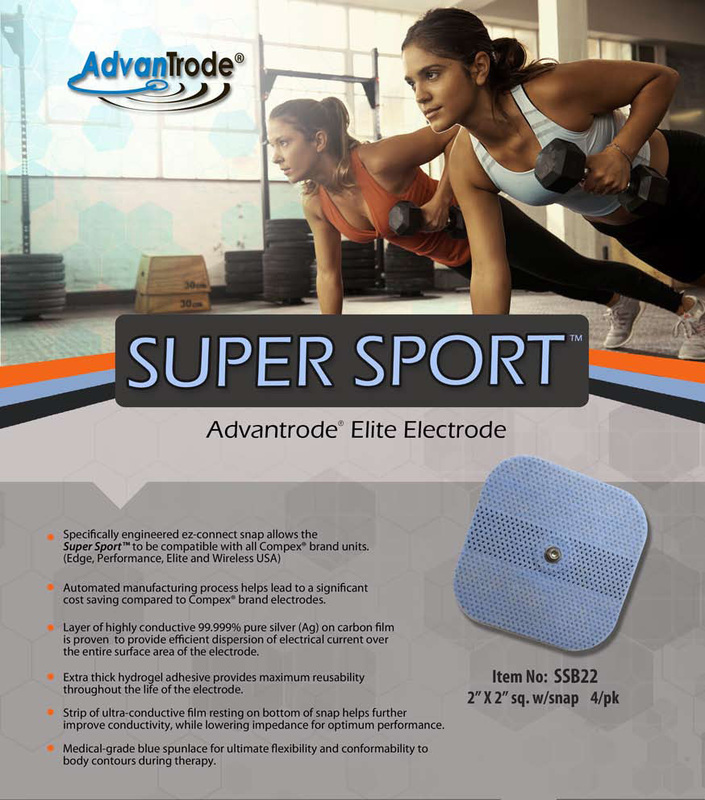 Now we are able to have superior quality electrodes for Compex® Edge, Performance, Elite, and Wireless, made right here in the USA. The great thing is that we can also offer These electrodes direct to you at a this fantastic price. You save not only over the cost of Compex® electrodes from them, but also get the added benefit of superior construction and high quality gel. 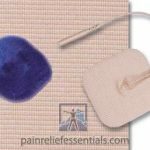 Pain Relief Essential’s new Compex® Easy Snap Compatible 2 x 2 Electrodes by Advantrode® Supersport use a custom snap that is 100% compatible with Compex devices. Each of these Supersport electrodes features a highly conductive layer of 99.99% pure silver. This silver layer gives the electrode superior current dispersion over the gel surface as well as ultra low impedance. Specifically engineered ez-connect snap allows the Supersport to be compatible with all Compex brand units including Edge, Performance, Elite, and Wireless USA. Automated manufacturing process here in the USA helps lead to a significant cost saving compared to Compex® brand electrodes. Extra thick Covidien Hydrogel adhesive provides maximum re-usability throughout the life of the electrode. 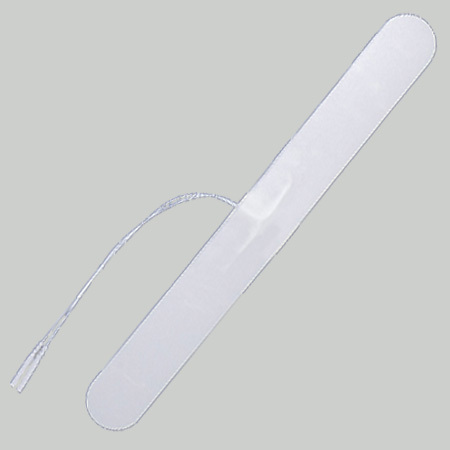 Medical-grade blue spunlace for ultimate flexibility and conform-ability to body contours during therapy. These Compex® easy snap compatible 2″ x 2″ electrodes work with your snap-on cables only. They are not compatible with pin-style or slide-on lead wires. COMPEX is a registered trademark or trademarks of DJO Global in the United States and/or other countries. All other trademarks are the property of their respective owners.